As UFO's 18th Annual Network Meeting will take place from 28-30 April 2019 at The Grand Palm Resort in Botswana, we have chosen to support Sentebale, a charity founded in 2006 by Prince Harry and Prince Seeiso, to support children and young people affected by HIV in southern Africa. Sentebale's flagship programme takes the form of monthly Saturday clubs and residential weeklong camps, which help children to accept their HIV status amongst peers in safe environment, addressing their mental health and wellbeing, improving their adherence to medication and allowing them to lead healthy, happy lives. 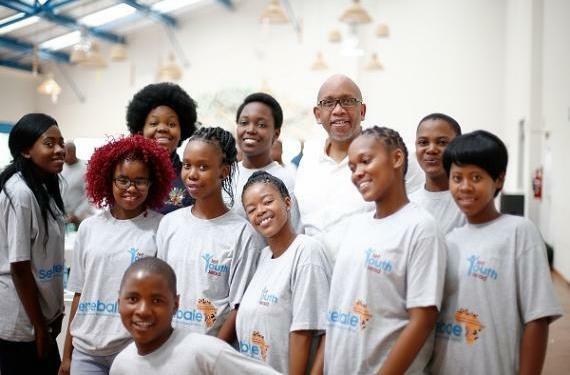 In 2017, Sentebale launched its Let Youth Lead advocacy programme, aimed at encouraging all youth in sub-Saharan Africa to know and manage their HIV status by 2020. The charity also provides vulnerable children throughout Lesotho with bursaries to enable them to achieve their secondary education, and grants to community-led organisations caring for the needs of orphans and vulnerable children. Sentebale’s website says: "We help the most vulnerable children in Lesotho and Botswana get the support they need to lead healthy and productive lives. Sentebale works with local grassroots organisations to help these children – the victims of extreme poverty and the HIV/AIDS epidemic. Together, we’re making a big difference to these children’s lives. We can do even more with your help."